Knitting Onstage: With What Results? | Knit Like You Mean It. Knitting Onstage: With What Results? 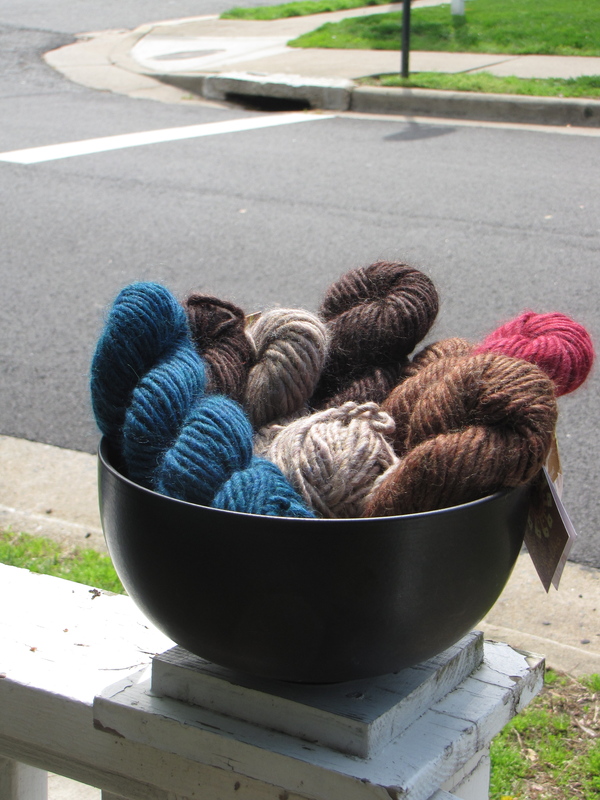 Here's another batch of yarn to be given away: Mirasol Sulka. I'll probably divide it into three packages for three winners. Comment on this post for a chance to win! Knitting, as a stress-reducer, is the enemy of drama. I refer to drama not just in the theatrical sense but also in the everyday one. It’s difficult to work up to any kind of indignation while you’re turning the heel of a sock. “Art” is about three men arguing about a painting and, in the process, evaluating their 15-year friendship. It’s funny and sad and a little claustrophobic. And, much as I hate to admit that there’s a place where knitting shouldn’t occur, it would have ruined the play. Had Serge, Marc, and Yvan been provided with sticks and string, things would have taken a different turn. Marc: You paid 200,000 francs for that sh*t? Serge: Sure, but remember when we bought that quivet yarn? Marc: You’ve got a point there. Amanda: What are we going to do, what is going to become of us, what is the future? Laura: What was that, Mother? I was reading this pattern. The yarn guild is knitting the royal wedding, and I have to finish Prince William by Thursday. Here, the yarn performs an impressive balancing act. 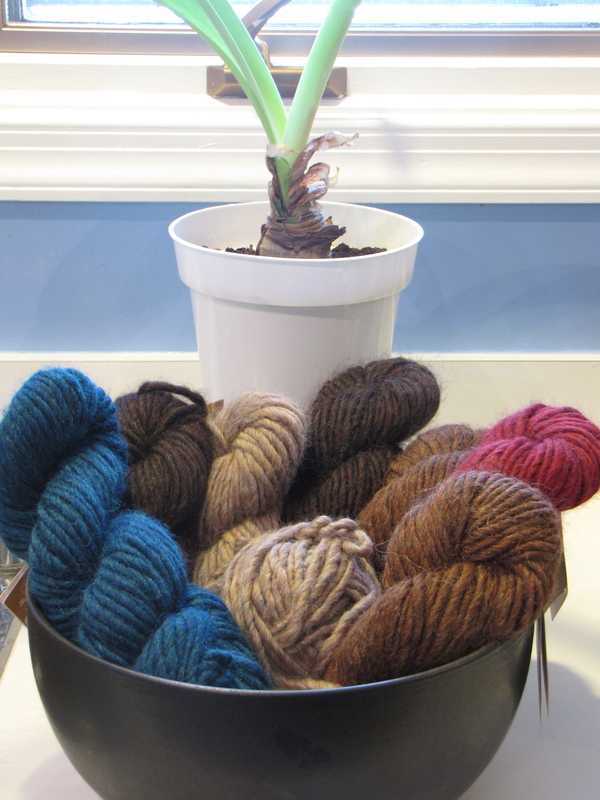 This yarn has lived in an airtight container in our one-cat, smoke-free home since I purchased it at fibre space. There’s no ennui – they’re knitting! Estragon: Who cares? Check out these mittens I’ve made. Vladimir: Or for night to fall. (Pause.) Mittens, you say? The hapless pair entertain themselves with both the gold coin and knitting, with mixed results. Rosencrantz is flips a coin over and over, while Guildenstern knits. Guildenstern: It can’t always be heads! Guildenstern: This is supposed to be ribbing! Lear is thrown out of Regan and Goneril’s house because his stash is unruly. Already wait to be knit? Lear, his fool, and the yarn are thrown out into the storm. Happily, though, they are able to knit themselves socks and mittens to stay warm. Lear presents Cordelia with a nice lace shawl, and they all live happily together in France. Jack and Algy find solace in knitting while Cecily and Gwendolyn are angry at them. Jack: Good heavens, I suppose a man may knit with his own yarn in his own garden. Algy: But you have just said it was perfectly heartless to knit socks! Jack: I said it was perfectly heartless of you under the circumstances. That is a very different thing. Algy: That may be, but the yarn is the same! 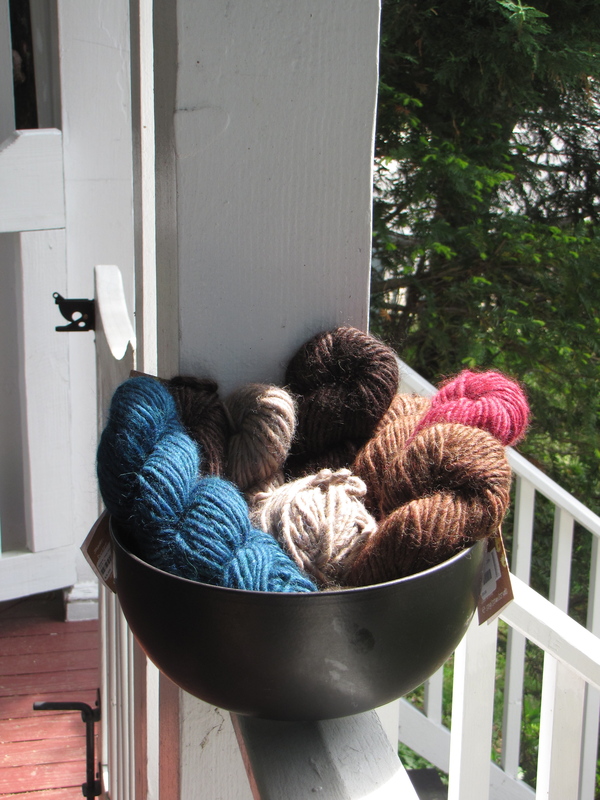 Here, the yarn tries to hitchhike away from our house. Comment on this post before it gets away! What if George were knitting while he argued with Martha? George: You can sit around with the gin running out of your mouth; you can humiliate me; you can tear me to pieces all night, that’s perfectly okay, that’s all right. Sadly, not even knitting can save everyone. So – does this work for your favorite play? Let us know in the comments below (and earn a chance to win the Mirasol Sulka (rav lnk) pictured in this post). I’m going to see Gods of Carnage Saturday. I’ll see if Tony Soprano does any knitting and report back. Excellent – we expect a full report. Unfortunately, I’m not up on my plays and do not have a favorite. However, I kept waiting for “Hold on, let me finish this row” to show up somewhere in your post. I’m ashamed of how many times I’ve said that in a wide range of situations – from the mundane to the risque (you can use your imagination for the latter). I’m thinking about a play where you need to stay calm and the world is upside down all around you (The Mousetrap?) but that’s too obvious. I’m a big fan of Waiting for Godot and would love to see it with some knitting thrown in! They ain’t such fancy tricks. But I use my yarn and sticks. And never be nobody’s fool. Twinkle while you shake it. Wait till you’ve refined it. Then shimmy in a sweater! My favorite play is “A Flea In Her Ear,” a Belle Epoque French farce, by George Feydeau. The non-stop action and entanglements would get ‘hung up’ if a character knitted during the play, especially if the character had to finish a row of knitting before taking action. the last play I saw was the Yale production of How to Succeed in Business without Really Trying – trying to picture the male lead knitting at business meetings… wonder how far he would go in the business world !? Love the twists (ha) knitting in famous plays would bring about. Very creative. Sometimes knitting on stage is wonderful/heartbreaking – Dancing at Lughnasa where the two sisters try to contribute to family finances by knitting gloves and are gradually made redundant by machines; and then you get the painful “in those days they knit” moments like an Uncle Vanya a couple of seasons ago where the servant painfully and yes I am judging, ineptly, eked out a garter stitch in a heavy wool during a scene that was set as being an incredibly warm out…because evidently Russia did not have cotton? That scene could not end fast enough.